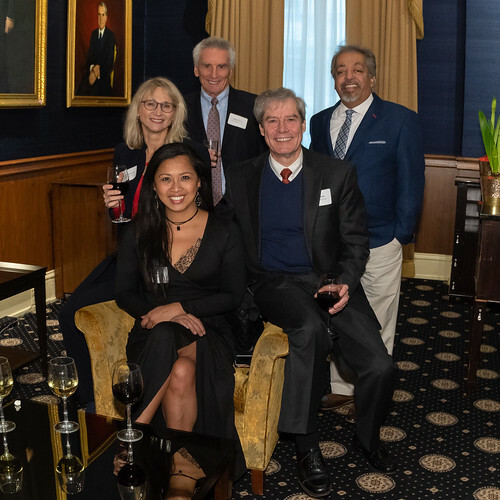 Armed with lessons learned a quarter of a century ago in the temperature-challenged Chilean ice fields, Benjamin Leavenworth is heating up temperature-controlled commerce between Chile and ports of the Delaware River. 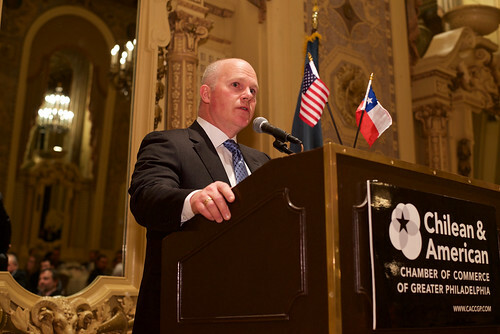 Son of a Mexico-based Campbell Soup Co. executive and grandson of Switzerland’s top Philadelphia diplomat, Leavenworth says he is living his dream while serving as honorary consul of Chile, as a board member of the Chilean & American Chamber of Commerce of Greater Philadelphia and as chief relationship officer and partner of Afina International LLC, a Philly-based finance and investment firm. 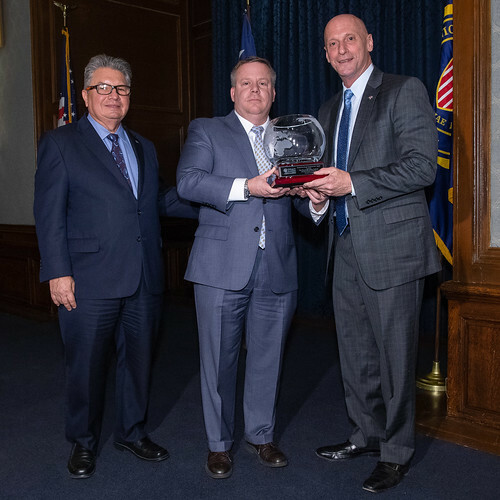 And the family’s multicultural tradition is continuing with Leavenworth’s twin 1-year-old daughters, as he shares – along with plenty of insights into time-honored trade – in an interview with the American Journal of Transportation. How important to Chile is logistically sound exportation of temperature-controlled commodities to the United States, in particular to Delaware River ports? It’s absolutely fundamental to our business in Chile. If it did not exist and if it was not of the quality that the Delaware River ports today offer, frankly, I don’t think the business could exist in the first place. Chile was one of the pioneering countries in massifying counterseasonal exports of fresh fruit and vegetables, and the only way you can send a cargo ship, either reefer or refrigerated containers, the 5,000 or so miles to North America is you have to have great temperature-controlled facilities. And the Delaware River ports do this better than anyone in the United States. With expanding pilot programs for bringing South American produce into ports south of the long-established 39th parallel demarcation, do Delaware River ports continue to offer advantages for handling this trade? Absolutely. In business and in this industry, it’s easy to promise a lot, but it’s very hard to deliver. When you don’t deliver, the produce gets ruined. The reason the Delaware River ports will continue and should be the primary destination for this produce is because it is not just that you can offer a schedule to offload produce. It is a complete ecosystem which this region pioneered, and it is not just because they have great refrigerated warehousing. It’s because they have workers who have been doing this for several generations. It’s because they work hand-in-hand with the inspection authorities. And what they’ve crafted is a perfect and seamless machine that is very, very hard to replicate. In addition to the mechanics is the spirit behind it. I have not seen this elsewhere. The spirit is that the families who work the ports, the operators, all see this as their mission. I think that it’s going to be very hard for other ports to replicate this, because I don’t see how you buy this culture. In the case of the Delaware River ports, they’ve grown this over more than 40 years. 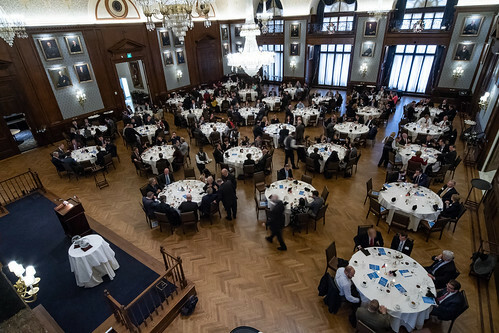 Noting your own experiences with importation of Chilean wine and grass-fed beef as examples, what commodities besides fruits play key roles in Chile’s U.S. trade, and what supply chain challenges are posed? 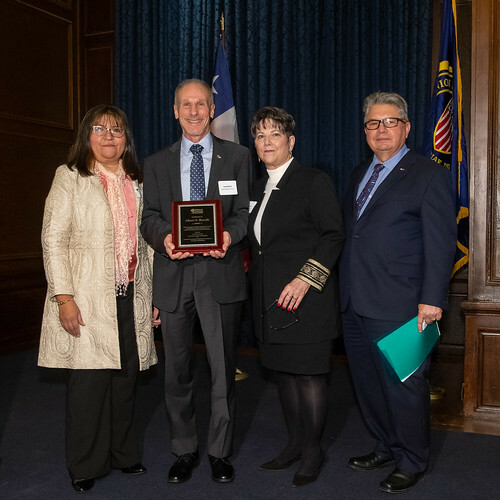 There are other fresh products that Chile exports and that are significant, many of which at this time we don’t see coming through the Delaware River port region. Probably the largest and most-known is fresh and frozen salmon. Chile is the second-largest producer of salmon in the world [behind only Norway], and the U.S. market is important. What we see coming from Chile, besides the mineral commodities and metals like copper, are, in order of importance, fruits, with table grapes leading the charge, then berries and so on. Then salmon is an important export to the U.S., followed by things like bulk fruit juices, dried fruits and nuts. We’re going to see more and more nuts coming out of Chile as there is greater and greater demand that is hard to fulfill just out of our U.S. growers. Among things kind of up-and-coming is olive oil. Chile has become a significant player in producing truly world-class olive oil. And of course you’ve got the famous wine, which is now fairly established and primarily on the East Coast comes through New York ports. There are budding projects to export produce like peppers and garlic and onions. 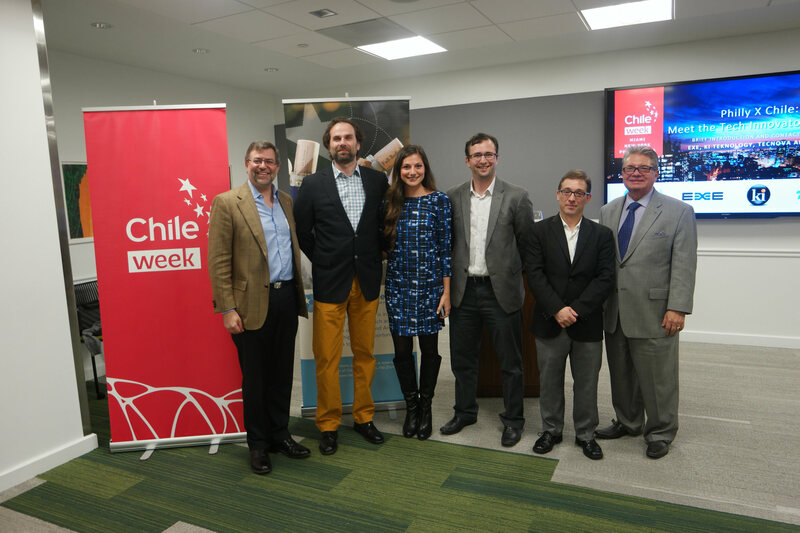 There is growing interest in Chile, particularly coming out of the Sixth Region [or Libertador Bernardo O’Higgins Region, south of Valparaiso and Santiago, centered around Rancagua and San Fernando], to create an industry to export non-fruit produce to the Delaware River region. In the role you have held for more than a decade as Chile’s honorary consul in Philadelphia, as well as in your positions as chief relationship officer and partner of Afina International Advisors S.A., plus longtime involvement on such boards as the Chilean & American Chamber of Commerce of Greater Philadelphia, how are you engaged in advancing Chile-U.S. commerce? The three are different hats. As Chile’s consul, wherein I was appointed by the president of Chile [Ricardo Lagos Escobar, in 2005] to take over the existing consulate here in Philadelphia, my jurisdiction is Pennsylvania, Delaware and Southern New Jersey. In that role, my principal focus has been supporting the trade, political, economic and cultural relationships between Chile and the region. I work actively. I’ve taken the governors of Delaware and Pennsylvania to Chile. I organized the visit of Chile’s president [Michelle Bachelet Jeria] to the region last year – the first-ever visit of a president of Chile to this all-important region. This region supports half a million jobs in Chile. These are numbers provided by Asoex, the Chilean Exporters Association. So this region for Chile is tremendously important and, of course, as a result of the trade, thousands of jobs are supported here. So it’s a win-win relationship. I, as consul, have the great responsibility of working to ensure this relationship is constantly growing and constantly front-and-center for both Chile and our region. 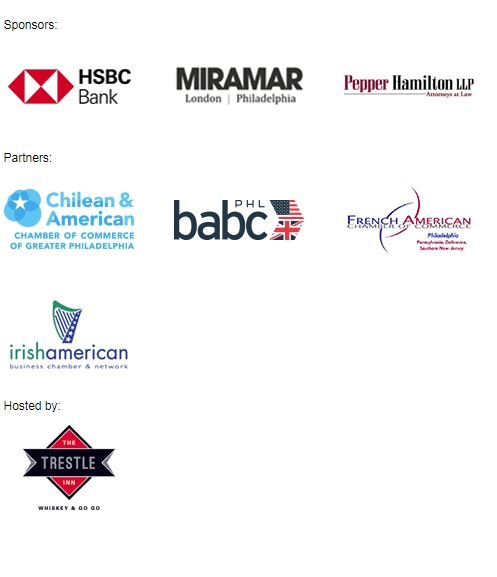 As a member of the board of the Chilean & American Chamber, I have helped the chamber develop deep relationships in Chile, both with chambers in Chile and at the political and economic level. What this has meant is the chamber, which brings together industry primarily, is able to very effectively work to support the trade interests of both sides. An example is that, when we had our devastating earthquake in 2010 [taking more than 500 lives and causing more than US$25 billion in economic losses], the chamber was able to work with the government and authorities to help find ways to allow Chile’s fruit to come in unhindered despite delays because of damage to the ports. This is why a chamber is so important, particularly this one. 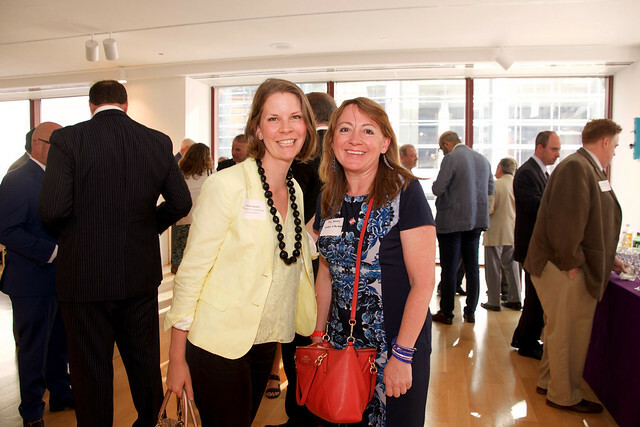 At Afina International, I am a partner, and my chief responsibility is managing and sustaining our key relationships. We’re a finance and investment firm. We work throughout Latin America but are particularly strong in Chile. I’m taking off my consul hat. 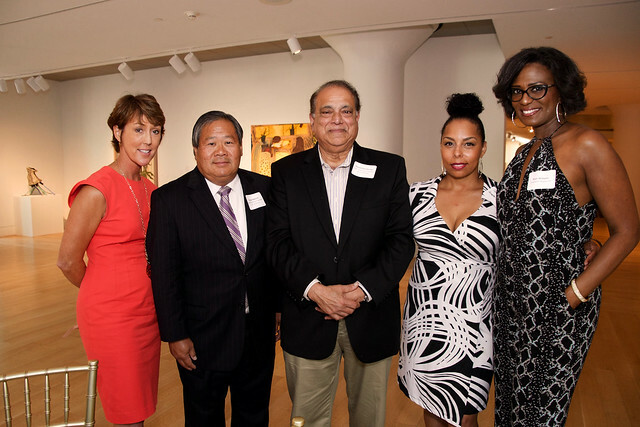 In my private-sector position as a partner of Afina, we look at investing not just into the region but also bringing investment from the region into the United States. In a way, it mirrors the work that I’m doing as a diplomat, except this is actually moving dollars back and forth that are creating jobs here in the U.S., that are creating opportunities in Chile, and it goes beyond Chile and the U.S. We just recently launched a fund in Australia that allows Australian pension funds to direct their resources into the capital markets of Chile, Peru, Colombia and Mexico. So, at Afina, we’re helping to grow the economies of these countries and of the United States, and it’s a privilege. What did you learn from your participation in the National Outdoor Leadership School while attending Hamilton College that you are successfully applying today? I spent three months [of 1991] in the northern ice fields of Chilean Patagonia. This is where I first experienced my deep love for Chile. The lessons that you learn under those very extreme circumstances are how to be resilient, creative, and I learned how to take risks while understanding that the consequences at times can be life-threatening. In my career, in what I do, what I learned through NOLS is how to be a leader, how to make tough decisions, not to shy away from risks but also manage the downside, because, in this case, the downside was you could have fallen down a crevasse and died. This has served me well, because whether it’s building a business or helping Chile build its relationships, you need a bit of both. You need to be able to ask tough questions and think big, like getting the president to come here, but, at the same time, you need to understand that there are consequences and know how to manage for it. It is a lesson that I’m constantly reminded of that came out of NOLS and, wow, Patagonia! It’s one of the most amazing places in the world. It was definitely a “Lord of the Rings” experience that continues to serve me to this day. At what point in life – and how – did you obtain multilingual proficiency? I was born and raised in Mexico. 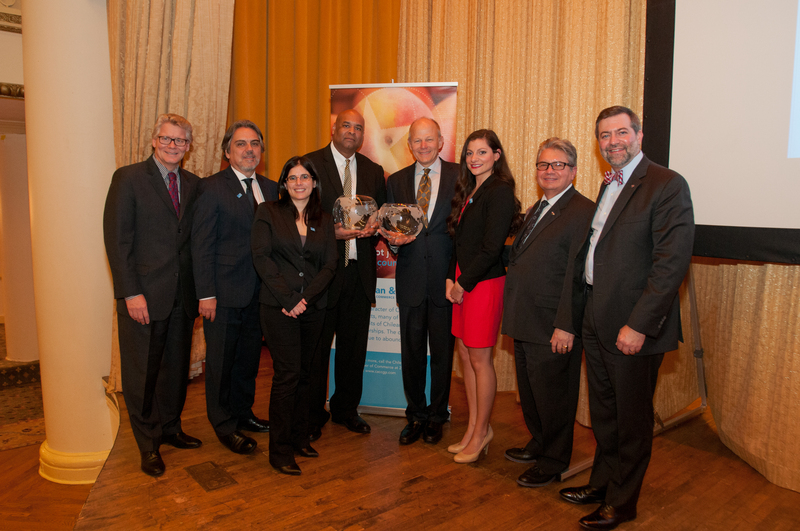 My father was the regional president of Campbell Soup Co. for Latin America. I’m a 14th generation Yankee – my family arrived in 1664 – but, because of my father’s work, I was born in Mexico. Because of that, not only am I completely bilingual, but also have a deep, deep, deep love for Latin America, and that’s where that began. My mother’s father was the consul general of Switzerland here in Philadelphia during World War II. Of course, that always inspired me to be a diplomat. So I have to say that I am actually living my dream today. 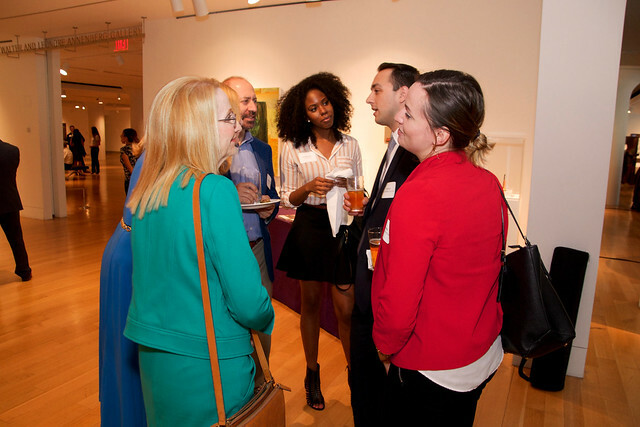 I get to be a diplomat for a region of the world that I love, and I’m also doing my work and my business, and they are absolutely interrelated. It gives me great joy to have the privilege to meet and work with extraordinary people. 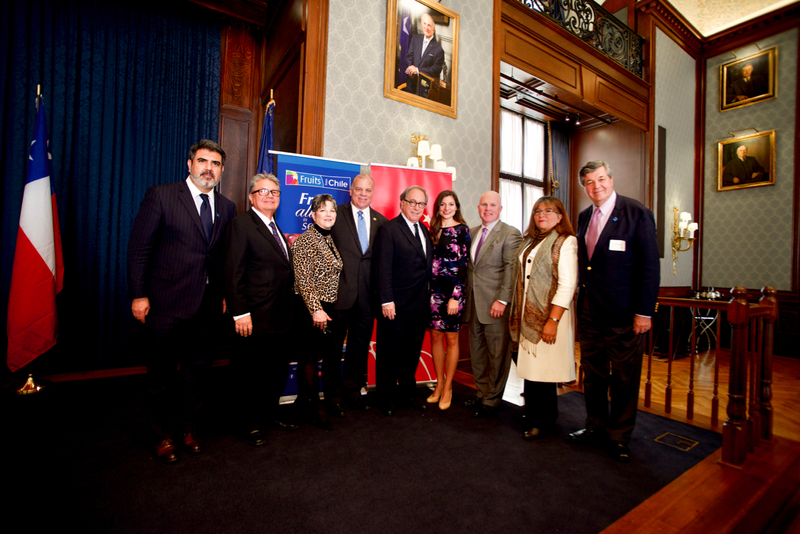 Bringing it back to Delaware River ports, I think this is what Delaware River ports as a whole – as I’ve gotten to meet and know everybody involved – it’s all about the deep personal relationships and the deep care for Latin America and building business in Latin America and especially Chile. When not busy with your extensive business pursuits, what do you do for fun? You can probably guess that one of them is that I love wine and wine tastings. I certainly take opportunities to do that. And the other thing – not that I don’t travel enough – is I love, love personal travel. And all of that was fine and good until last year, when I became father to identical twin girls. At this point in time, I’ve discovered that there’s nothing more joyful or entertaining for me or where I’d rather spend every moment of my free time than being a dad. I’d give up any other hobby. I just love, love being a dad. My wife’s family is from Hong Kong, and we just got back from Hong Kong. We took the babies and we went to celebrate Chinese New Year in Hong Kong. The fact is, whether we want it or not, it’s a global world. My family, in a way, is part of that, but it’s exciting for me to think that my daughters will be not only multilingual but multicultural and will consider the world their home. And I think that’s good for all of us. On Thursday, December 3, 2015, members and friends of the Chilean & American Chamber of Commerce of Greater Philadelphia gathered in the Hyatt at the Bellevue’s Grand Ballroom to honor Ralph Hackett of Dayka & Hackett LLC and Derrick Jenkins of Wakefern Food Corporation at the 18th Annual “Friend of Chile” Awards Luncheon. 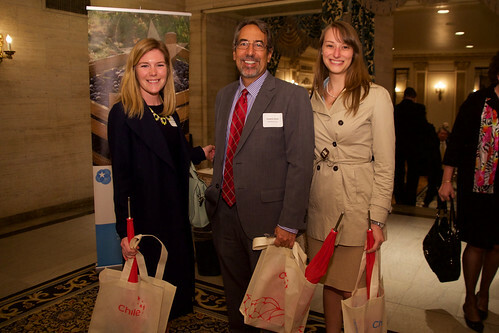 The celebratory luncheon kicked off with a wine reception, with exquisite Chilean wines provided by ProChile New York. 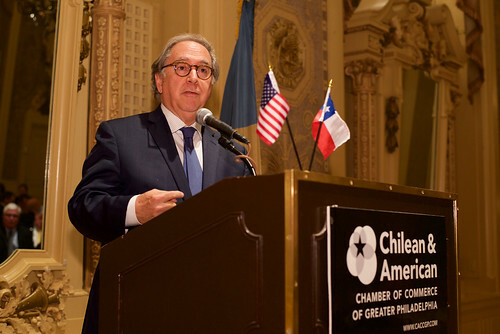 Guests mingled while drinking both red and white wines from Chile before the President and Chairman of the Chilean & American Chamber of Commerce, Robert Palaima, welcomed guests into the ballroom to begin the awards ceremony. 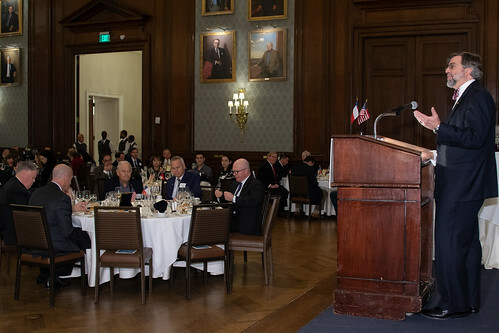 After Palaima gave welcoming remarks, guests were introduced to Consul Francisco del Campo, General Consul of Chile in New York, for remarks given on behalf of Ambassador of Chile to the United States, Juan Gabriel Valdes. 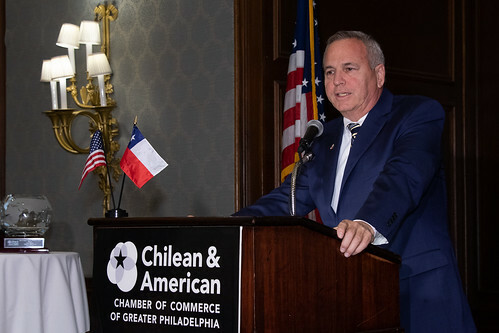 Consul del Campo highlighted the positive economic impact the greater Philadelphia region has on Chile, praising the work of the Chilean & American Chamber of Commerce. 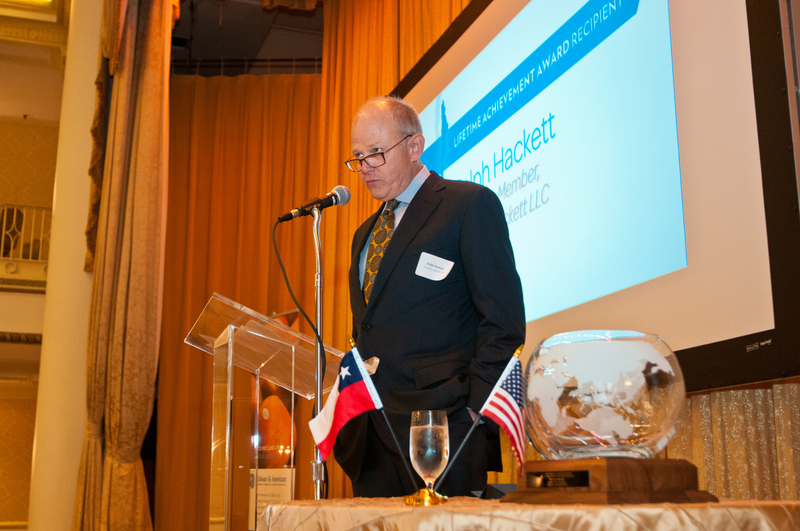 Tim Dayka then introduced his business partner, longtime friend, and Lifetime Achievement Award Recipient, Ralph Hackett, Managing Member of Dayka & Hackett LLC. 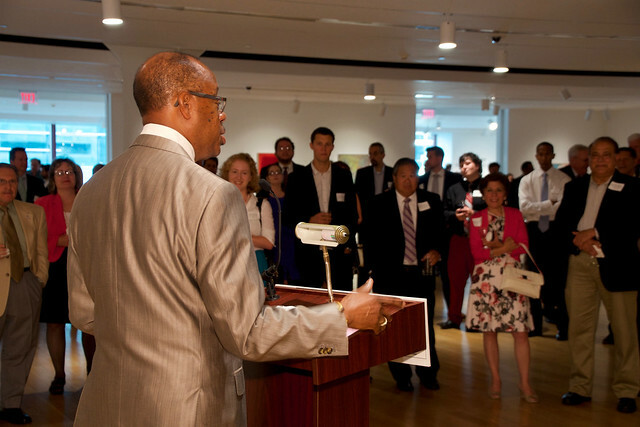 Ralph’s speech attributed his successes to his time spent as a student at Girard College and growing up in North Philadelphia. Ralph has had a professional career spanning forty years, thirty of which have been focused on the fresh produce industry. His industry experience began in 1985, when he joined Cal Fruit Suma, starting out as Controller then quickly being promoted to Operating Manager. Cal Fruit Suma, following its 1985 startup, was amongst the leading US importers of Chilean fruit from 1987-1989. Ralph has been the successful starter of multiple distinguished companies in the fresh produce industry, including Suma Fruit International, Pacific Trellis Fruit, and his current enterprise with business partner Tim Dayka, Dayka & Hackett LLC, which is headquartered in Reedley, California and has a full service regional office in operation at the Port in Wilmington, Delaware. 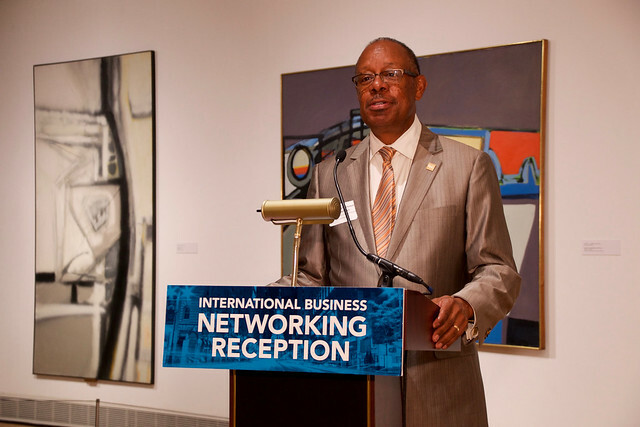 After lunch, Robert Palaima invited Robert Wonderling, CEO and President of the Greater Philadelphia Chamber of Commerce, to address attendees with greetings on behalf of the CACC’s affiliate organization. 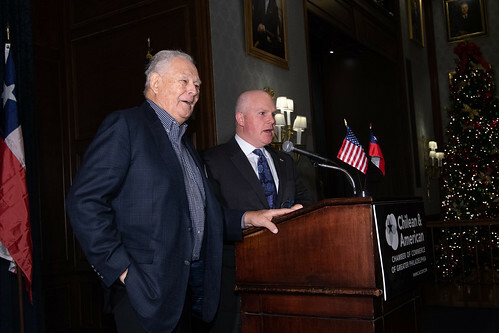 Shortly after, Harold Sbrocco, Chilean & American Chamber of Commerce Board Member and former Lifetime Achievement Award Recipient, introduced his friend, colleague, and Friend of Chile Award Recipient, Derrick Jenkins, Vice President of Produce and Floral of Wakefern Food Corporation. 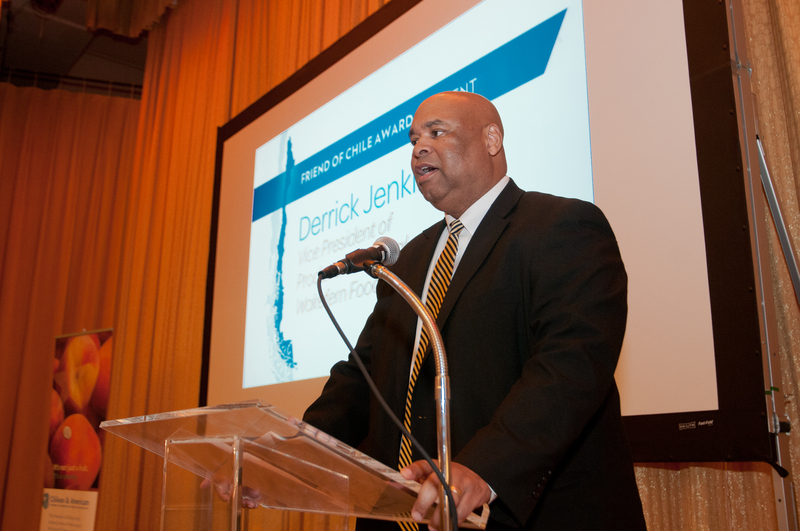 Derrick stressed the importance of the continual influence of his mentors throughout his career, stating that they gave him the motivation and guidance to succeed in the fresh produce industry. Derrick joined Wakefern in 1982. Starting as a temporary Junior Accountant, he was hired shortly after as a full-time Junior Accountant in Produce. 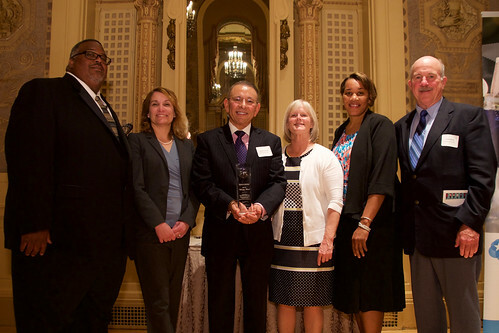 Derrick remained in Produce, rising through the ranks in the division and working as an Analyst, Buyer, Produce Manager, Senior Produce Manager and Procurement Manager before being named Vice President of Produce and Floral. The successful Produce and Floral Division meets logistical demands, bringing products from every part of the region, country and world to grow business. Produce ships seven days a week to all stores, and the division also has buying offices in California and Florida. 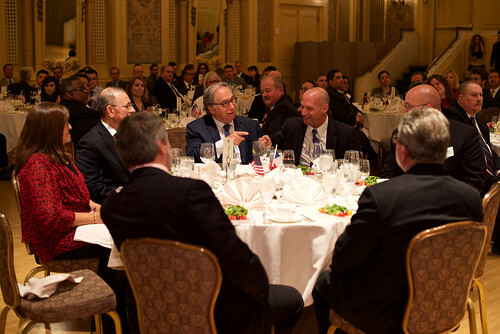 The luncheon closed a huge calendar year for the Chilean & American Chamber of Commerce. 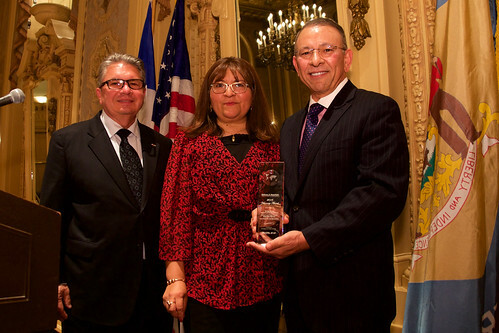 The 18th Annual “Friend of Chile” Awards Luncheon was another success for 2015, following the monumental Presidential Dinner with Michele Bachelet in January and other signature events like the 10th Annual Experience the Taste of Chile and the 5th Annual Summer International Business Networking Reception. 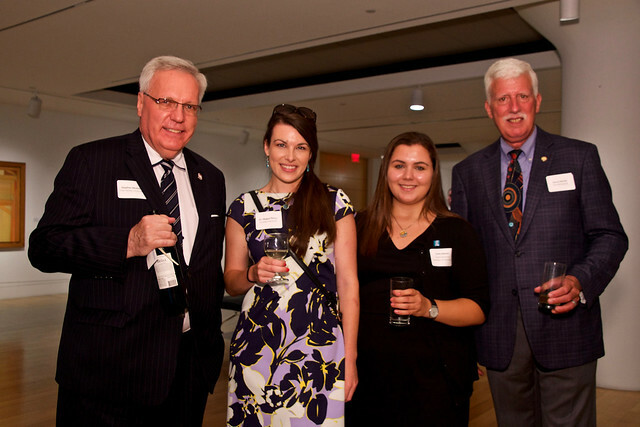 This event would not have been possible without generous sponsorships from our members. Thank you to our Presenting Sponsors: Dayka & Hackett LLC, J&K Fresh East, and Diamond State Port Corporation / Port of Wilmington, as well as our Corporate Table Sponsors: AMC Direct Inc., Capespan North America, Delaware River Stevedores, Dole Fresh Fruit, Holt Logistics Corp., Manfredi Cold Storage & Distribution, Mattioni Ltd., Murphy Marine Services, OHL International, Philadelphia Regional Port Authority, Pilots’ Association for the Bay & River Delaware, Port of Wilmington & Diamond State Port Corporation, RPS / Royal Fumigation, Sbrocco International, Inc., Unifrutti of America, Western Fumigation, and William H. Kopke, Jr. Inc. 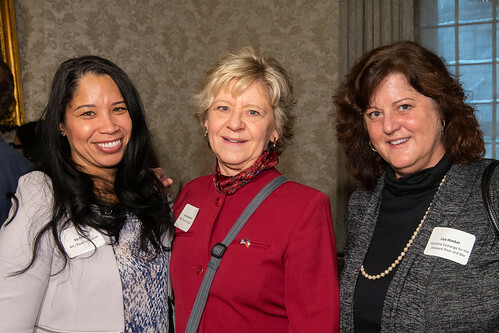 The CACC would also like to thank Al Dia News Media, the Maritime Exchange for the Delaware River and Bay, and the Chilean Fresh Fruit Association for providing media coverage of the luncheon. Click here to view photos on our Flickr page.